If your soul lusts for greenery and adventure, then you will truly treasure your stay at Sajnekhali Bird Sanctuary nestled amidst lush Sunderban Forests at the confluence of River Matla and Gumdi. Sajnekhali being the home of the Royal Bengal Tiger is also a heaven for varied species of birds. From Sajnekhali watch tower you can get a panoramic view of Sunderbans and watch out for deer, tiger and other animals. 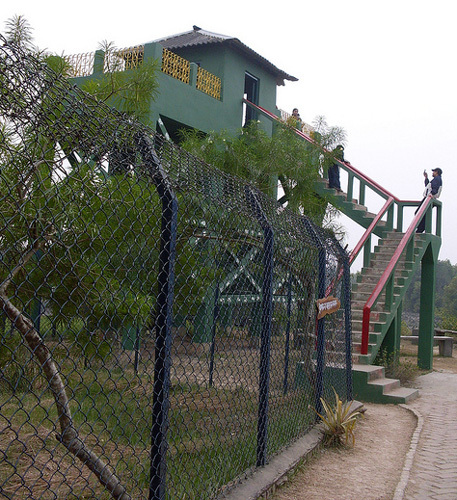 A Nature Interpretation Centre has been built at Sajnekhali, which is protected by a wired fence. Adjacent to this centre is a crocodile farm, a turtle farm and a pond inhabited by sharks. A number of watchtowers are built throughout Sajnekhali for wildlife viewing. Apart from tigers, the forest also offers shelter to animals like Fishing Cats, Wild Boar, Macaques, Flying Fox, Chital, Pangolin and others. Places to see in Sajnekhali: You can spot the daily life of the wild animals from Sajnekhali Watch Tower. 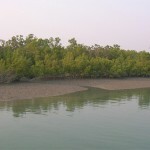 You can also visit the Nature Interpretation Centre to discover more information about Sunderbans and its inhabitants. There is a crocodile pond where you can watch the feeding frenzy of crocodiles. A smaller turtle farm and a pond inhabited by sharks can also be found here. You can also spend sometime at the Sajnekhali jetty watching over the mighty Matla River and the passing boats. 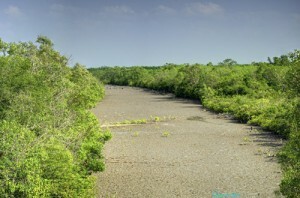 At Shajnekhali, you will truly savor the splendid sight of some exotic birds like Spotted Billed Pelican, Caspian Tern, Fish Eagle, Osprey Herring Gull, Green Backed Heron, Purple Heron, Open Billed Stork, Night Heron, White Bellied Sea Eagle, White Ibis, Grey Heron, Common Kingfisher, Egret and Paradise Flycatcher. This sanctuary is also visited by the rare winter migrants like Asian Dowitchers. 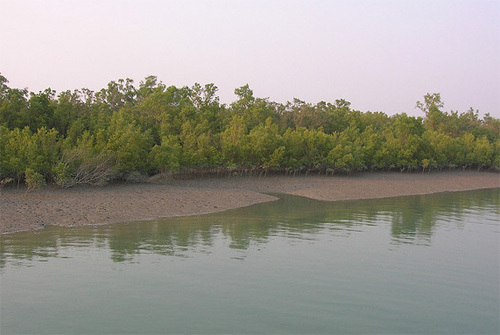 Nearby attractions of Sajnekhali: From Sajnekhali jetty, you can catch a ferry to Bhagabatpur Crocodile breeding farm, Halliday Island (famous for Barking Deer) and other parts of Sunderbans. You can also enjoy a ferry ride to the small village settlement of Gosaba, located in the Canning subdivision. You can also visit Netidhopani, which has the remnants of a mysterious 400-year-old temple. A trip to Kanak is also quite rewarding for travelers, which is the nesting ground of Olive Ridley Turtles. Things to do in Sajnekhali: Apart from touring the sightseeing destinations at Sajnekhali, take out some time to visit the nearby villages. You can interact with the local people of the place and watch their life style to have an insight into their lives. How to reach Sajnekhali: Caning is the gateway of Sajnekhali, where motorboats are available departing for the destination. Canning is well accessible by bus and train services from Kolkata. To reach Sajnekhali, you can also hire boats from Basanti, Gosaba, Namkhana and Najatare, which are well connected by roadway from Kolkata. 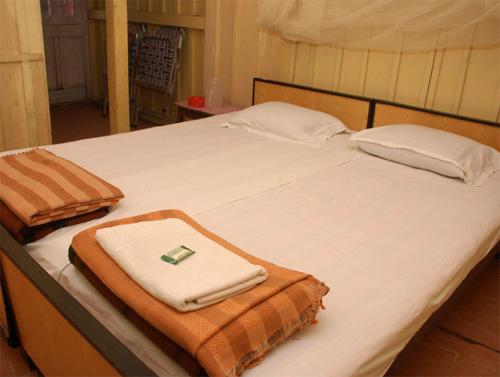 You can drive straight to Sonakhali and take a 3 hour ferry ride to Sajnekhali Tourist Lodge. Sonakhali is about 90 kms from Kolkata and takes 2.5 hrs by bus from Esplanade. The route is via EM Bypass — Bantala — Ghatak Pukur — Sarberia. Alternatively, you can also reach Sajnekhali through Basanti (90 kms from Kolkata) and take an auto rickshaw to Gadkhali (another 11 kms away) to arrive at Gosaba. From Gosaba you can catch another ferry (about 20 mins) to reach Sajnekhali. Best time to visit Sajnekhali: You can visit Sajnekhali throughout the year but the best time to visit Sajnekhali is from September to March. Many tourists also fall under the spell of the magical charm of monsoon in Sunderban. Lodging and dining facilities in Sajnekhali: The WBTDC Tourist Complex at Sajnekhali is the most popular and well-equipped accommodation in Sajnekhali. The complex has a number of watch towers overlooking the Sunderbans, a crocodile pond and a Nature Interpretation centre. We arrange booking for WBTDC Tourist Complex at Sajnekhali directly from Kolkata. Dining facilities are excellent here, which mainly comprises ethnic Bengali cuisine. However, Western styled food is also offered here.